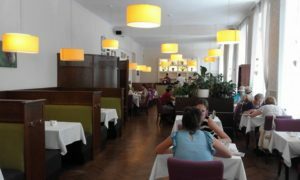 Hungarians are definitely meat lovers, and while the traditional Hungarian restaurants offer few options for vegetarians, the number of great vegetarian eating places are increasing. Surprisingly, Lonely Planet mentioned Budapest among the few superfood cities around the world. For those, who strictly follow the vegan diet, most of the vegetarian restaurants offer several vegan dishes, there is no strict line between vegan and vegetarian places. Napfényes étterem is my best advice if you are looking for vegetarian food in Budapest! This centrally located (near Ferenciek tere), restaurant is suitable for groups, families, couples and also individuals to have either a quick meal during a working day, or a longer, comfortable meal at the weekends. The interior is stylish, elegant, and waiters are extremely polite and helpful. The focus is on the customer, in every way. And we have not talked about the food yet. For those, looking for quick lunch menu, there is a daily offer of soup, main course and dessert. 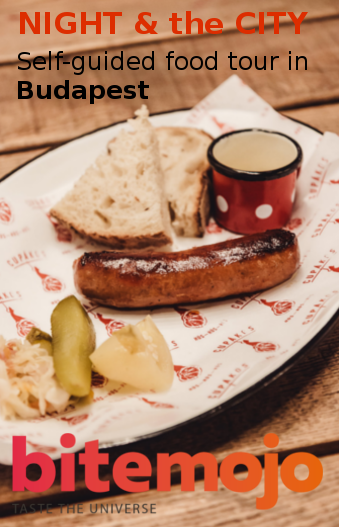 The full menu is carefully created, with several traditional Hungarian dishes, with a vegetarian twist. They perfectly bring the traditional Hungarian flavors. 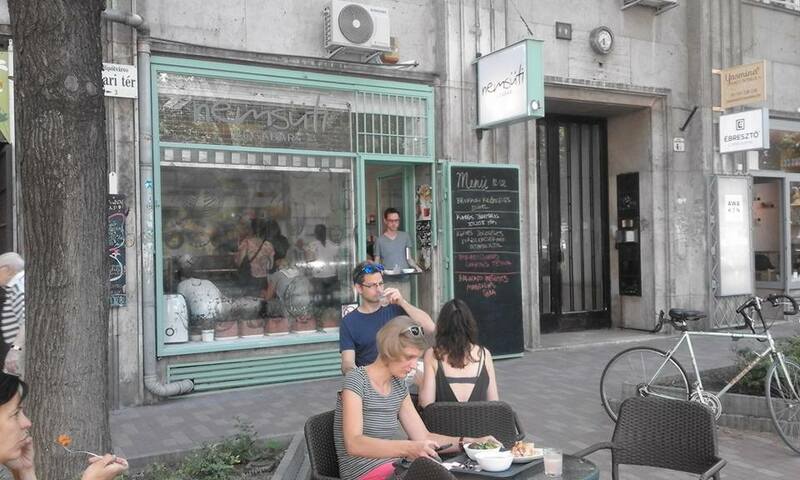 Nemsüti is a lunch bar, offering menus, as well as sandwiches, salads at two locations on the Pest side (Jászai Mari tér 4, or Hold utca 9). 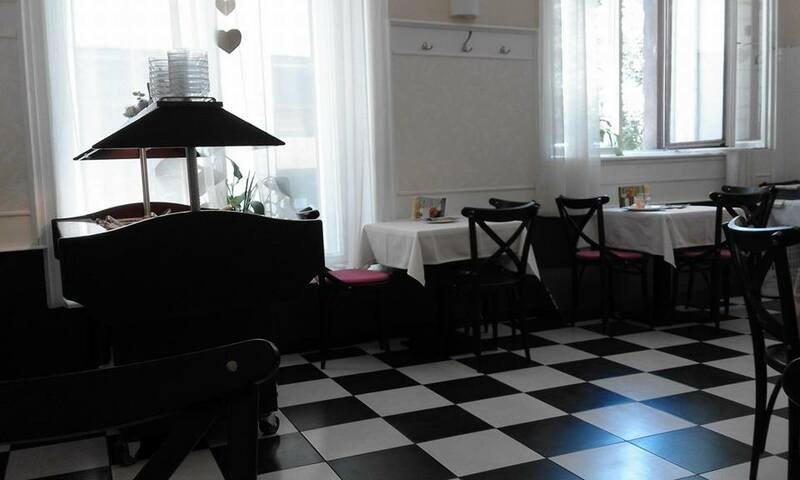 The lunch menu is the most popular offer of this lovely vegetarian eating place. 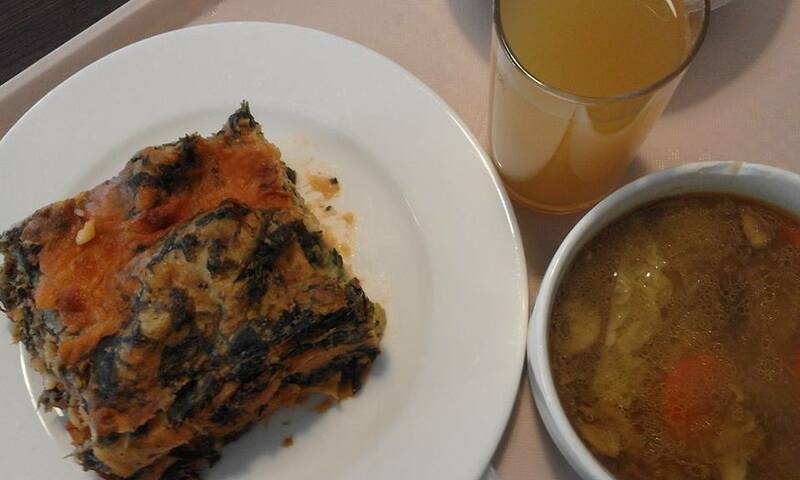 It includes one kind of soup, three kinds of main dishes and a dessert. All menus have also a glass of home made lemonade. They offer lunch as long as they have it, and most of the time you have to be on the spot by noon, to be able to choose. In case none of the meals are your taste, try the delicious sandwiches or salads! Both of the Nemsüti locations have a small terrace, great to sit outside and enjoy the view over Margaret bridge and the island. Food trucks are popular street food places all around the world. You may have realized, that there are no individual food trucks in Budapest, but there are designated areas for them in the city. More often the spring and summer festivals have a great variety of food trucks. 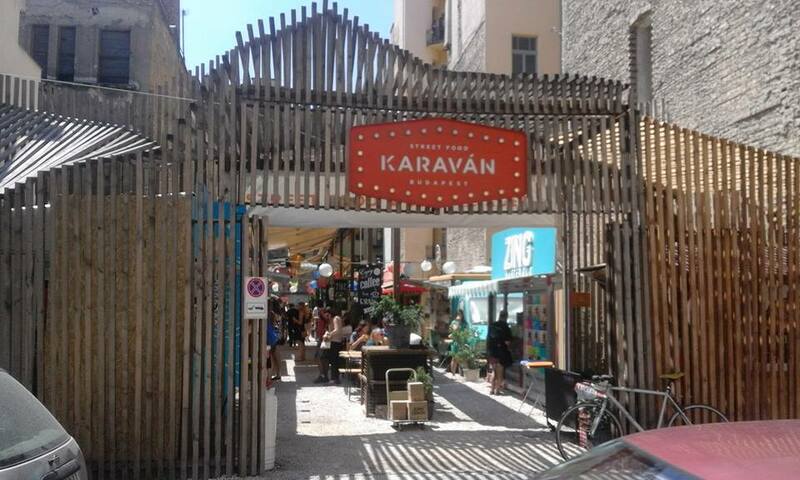 The most popular street food garden is Karaván, located next to the famous Szimpla ruined bar in the 7th district. Las Vegans doesn’t offer complicated meals, they stick with the old fashioned hamburger. Hamburger with a vegan twist: seitan burger, carrot burger, tofu burger or chickpea burger. The combination of veggies, with the burgers and also the sauces are well thought and delicious! Seems like the Buda side of Budapest is always picking up the trend a bit slower. Lovely to see that they also offer a fantastic vegetarian (and actually vegan) eating place now. 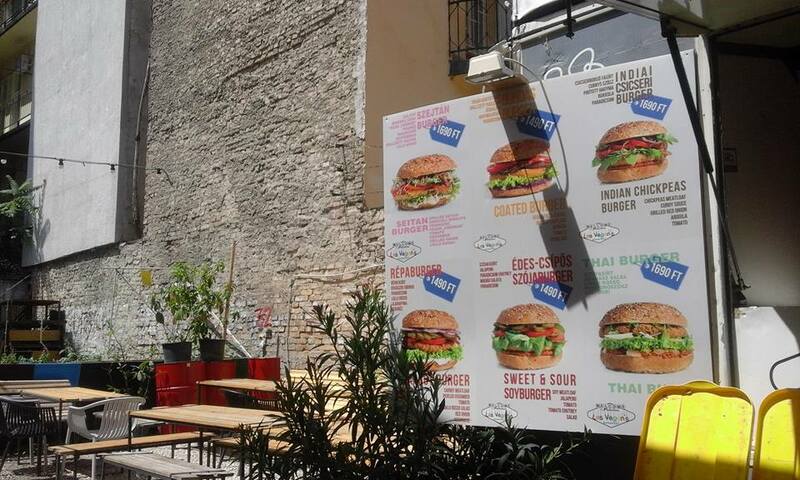 The owners of Magic Burger opened Vegan Love. 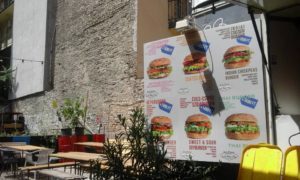 Magic Burger is a burger place, that made its’ name, as one of the first “craft burger” location in Budapest. 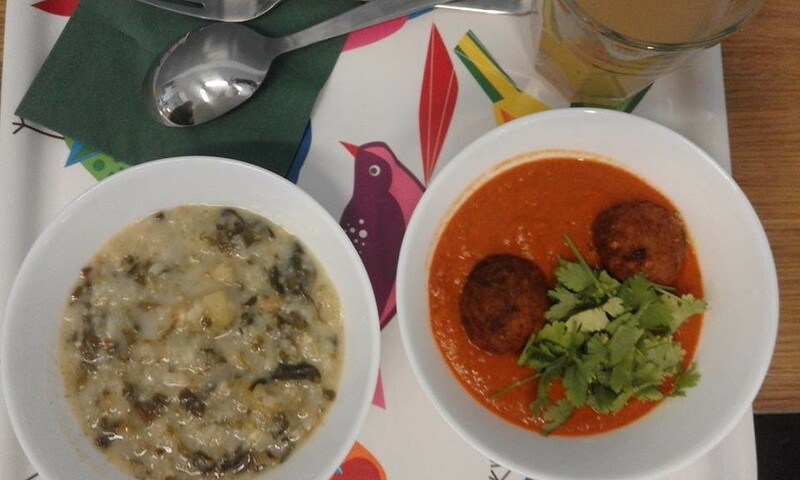 Encouraged by the success of Magic Burger, therefore the healthier option, Vegan Love came alive in Bartók Béla út, offering salads and soups as well. 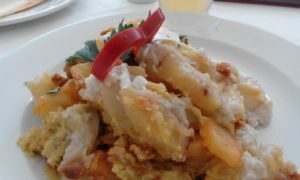 Finally, Vega City, just across from the National Museum, has a huge selection of vegetarian, vegan dishes. The salad selection is the best from all the vegetarian eating places. Vega City offers lunch menu as well, and besides that, a wide selection on the menu. Due to the fact that the restaurant is very close to several universities, at lunchtime the place is pretty busy. To know more about the Hungarian culinary, to visit the Central Market, get more suggestions on vegetarian eating places in Budapest take a look at our tours. 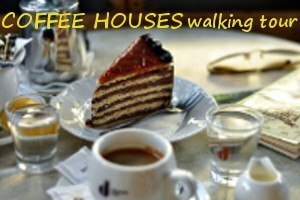 Taste some Hungarian dishes (vegetarian option is available), and join our “Culinary walking tour“! This entry was posted in Blog and tagged Budapest, Budapest restaurants, Budapest vegetarian restaurants, food truck, Healthy Hungarian food, Hungarian food, ruined bar, szimpla, traditional food, vegan diet, vegetable dishes, vegetarian diet, vegetarian food, vegetarian restaurants. Bookmark the permalink.